AMD is changing the way we look at GPU temps with the release of the Radeon VII. GPU temperatures have historically been reported by a single sensor located near the thermal diode. This is what we’ve been using to talk about “GPU Temperature’ for decades and was used for thermal policy for thermal throttling and fan control. 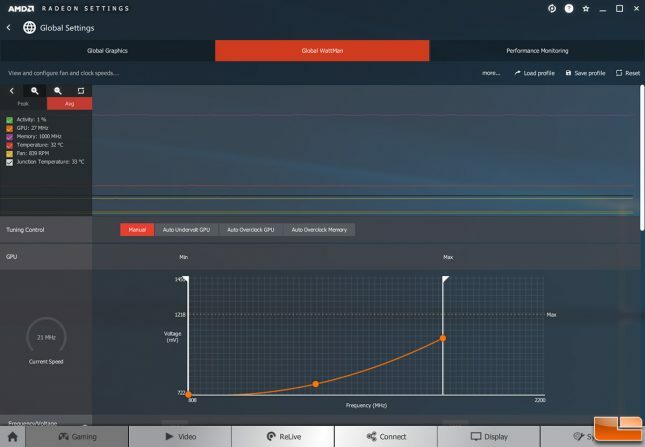 AMD has been adding more and more thermal sensors at various locations across the die over the years and are finally showing a temperature reading for all these sensors. 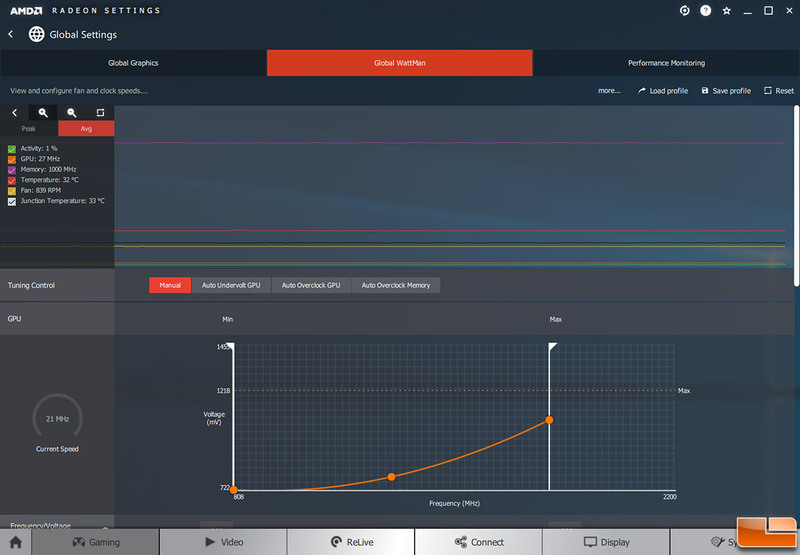 This new reading shows up as Junction Temperature under Global Wattman in AMD Radeon Settings. The Junction temperature is the maximum temperature across the entire GPU die based on temperature measuring circuitry. The image above shows the network of 64 temperature sensors (remote diodes) distributed across the chip that are used to come up with the Junction Temperature on Radeon VII graphics cards. This is twice the number that AMD Radeon RX Vega 64 had and Junction Temperature is used on Radeon VII for thermal throttling and fan control. When it comes to idle temperatures we were getting 32C on the traditional temperature sensor and 33C on the new junction sensor temperature sensor. The fans were spinning at an average speed of 839 RPM and the noise level wasn’t too bad. After playing PUBG for over an hour at 1440P we found that the temperatures topped out at 72C on the traditional temperature sensor and we managed to hit 106C on the junction temperature. The fans topped out and 2,968 RPM and you can certainly hear the Radeon VII over all the other components in our test system. With the junction temperature sensor hitting 109C we reached out to AMD to see if this was anything to be concerned about. 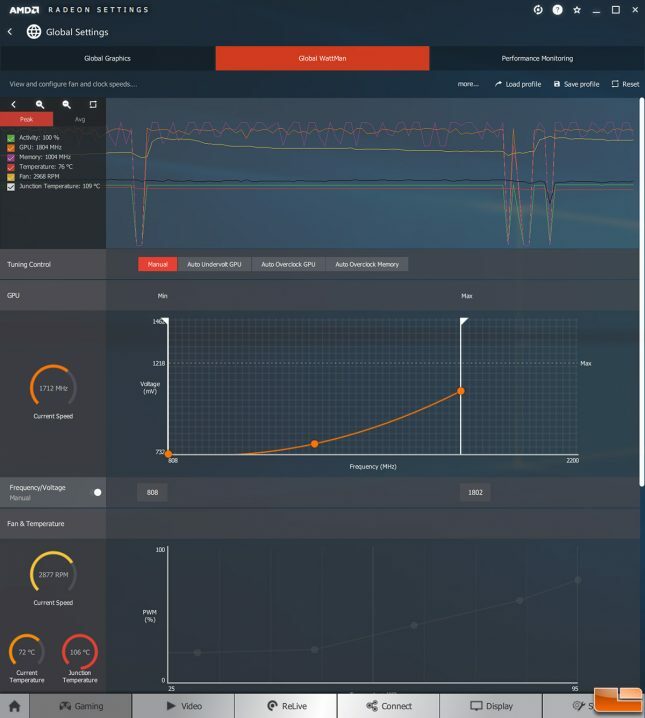 The Radeon VII product manager informed us that we may see occasional spikes over 110C during stress testing, depending on ambient temps and that is considered normal. When it came to our question about what is the max junction temperature and what happens when that is reached…. That is a bit more complicated. So, hitting 109C on the junction temperature while gaming at stock clock speeds is more than okay according to AMD. In fact, they pointed out on the temperature sensor that we’ve been using for years that we were only hitting 76C and that wouldn’t have ever been a concern. For testing power consumption, we took our test system and plugged it into a Kill-A-Watt power meter. For idle numbers, we allowed the system to idle on the desktop for 15 minutes and took the reading. For load numbers we ran Rainbow Six Siege at 1440P and recorded the peak power number while the in-game benchmark was running. This is done to ensure the results are repeatable. 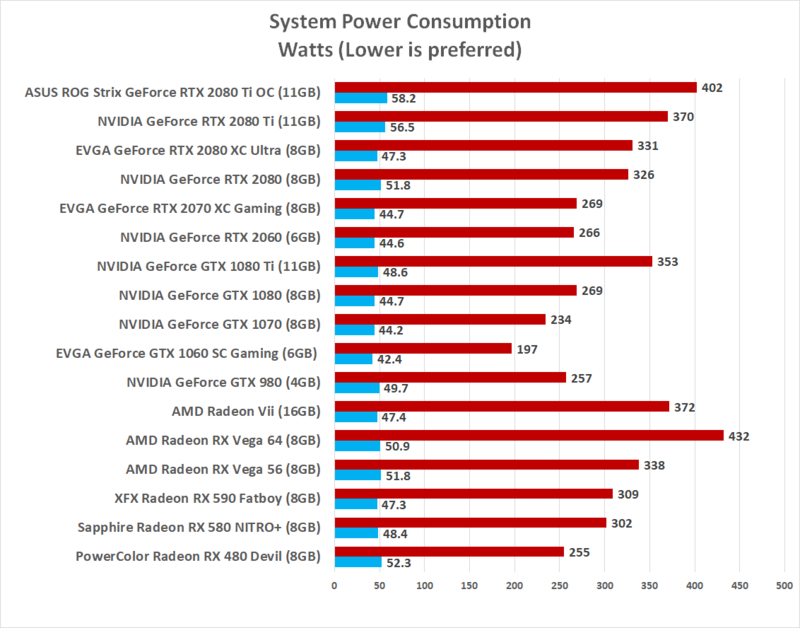 Power Consumption Results: The good news is that the AMD Radeon VII uses 60 Watts less power while gaming than the AMD Radeon RX Vega 64. The bad news is that the AMD Radeon VII uses over 100 Watts more than the RTX 2070, roughly 40 Watts more than the RTX 2080 and about the same power as the Radeon RTX 2080 Ti Founders Edition cards. 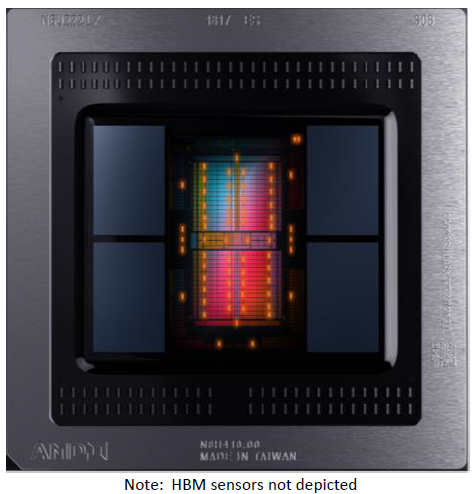 AMD’s process technology shrink to 7nm did help with power efficiency, but it would have been nice to see the Radeon VII and GeForce RTX 2080 using about the same power at load.